When searching for the best corporate gifts to give to your co-workers, employees, partners, or customers, it can be difficult to find that special something without breaking the bank. But if you’re about to give up on corporate gift ideas, don’t. Because the following list of gifts are well thought out and actually under $75! 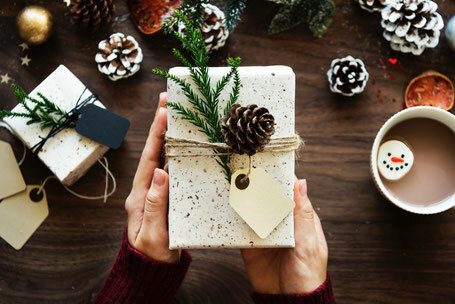 When it comes to choosing the best corporate gifts to give, whether during the festive season or for special events or just to say thank-you, it pays to follow a few basic rules: your gifts should be useful for the recipients, relevant to their interests, and reflect your thoughtfulness in choosing the right gift. The problem is, if you’re not careful, you might find yourself browsing items priced in the three figures. And aside from being inappropriate in some situations, these might also not fit within your budget. Fortunately, we’ve selected some of the best corporate gifts available for $75 or less. Flowers may be a perennial favourite, but think outside the box to find a gift that lasts (and impresses) for longer. 1. A magazine subscription: This one is great for showing your attentiveness to the recipient's interests, because you can get them a niche publication they will love. Make sure you know their tastes and interests before choosing. 2. A book: Once again, this can show thoughtfulness in the subject of the book. But also, if you know the person is a reader, your gift will mean even more. 3. 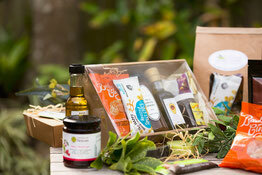 Gift hampers of any kind: This option allows for versatility and affordability. Many are priced around $75. They can feature organic produce for those who are sustainably-minded, coffees or teas for those who appreciate their warm beverages or gourmet sauces and nibbles for the foodie at the office. 4. A wine tool set: Know any wine aficionados? How about a collection of their favourite wine tools including a wine opener, spout, wine stopper, etc? This one comes off as classy and expensive while staying affordable and appropriate. 5. Board games: If you're looking for a gift that shows you are fun and likeable, a game gift is the way to go. 6. Monogrammed hand towels: Here is the perfect way to add a personal touch without seeming too personal. A simple towel or even hand towel is useful and thoughtful with the appropriate initials monogrammed on the front. 7. Event tickets: If you know the recipient has a favourite sports team or musical performer, what better way to show your appreciation than a ticket to see them? Depending on the team or performer, with a little shopping around you can often find deals for as low as $75.